You may have had dreams of your son being a football star or your daughter competing in the Olympics, and now that your child is in elementary school it’s clear that goal is not likely to be achieved. While our culture does place a distinct level of importance on being athletic and exceptional at sports, in actuality there are great things for your kids to be passionate about if they don’t happen to be athletic. Be honest with yourself if you’re disappointed and then get to work finding a great activities for kids. While many boys find dancing to be “girly” (though if your son doesn’t, great!) and singing involves a certain “it” factor to get great opportunities, drama tends to be a great experience for both genders. Theater, film classes or even pantomime – there are plenty of ways to absorb the art of acting into one’s soul and your non-athletic child is sure to love it. Look for a summer camp program that offers a wide variety of creative arts but also focuses on method acting. Or, pick a community children’s theatre – some accept all participants even if they play a background role. If your child falls in love with the stage, any part will be thrilling. Drama can also help a shy child by teaching them to speak clearly and confidently both onstage and face-to-face with peers. Likewise, if you have a class clown on your hands, he may thrive in an improv comedy class. Scouting is much more than cookie sales. Both the Boy and Girl Scouts of America challenge children in all arenas including not only outdoor life, but valuable skills like public relations, independent project completion and compassionate actions toward others. Boys will enjoy pinewood derbies, campouts and learning survival skills. Girls will similarly learn about the great outdoors but also receive great resources when it comes to building self-esteem and knowing how to be prepared for the work force as an adult. Both genders can receive merit badges for almost any activities for kids you can dream up including fire prevention, sewing, and working as a team. Best of all, scouting requires parent volunteer hours, so you will be able to get involved with your child’s newfound passion. If your child isn’t athletic or particularly outgoing, try handing him a pencil and paper. You might be amazed at what your introverted youngster can conjure up in a visual art form. Sketching, painting, sculpting and computer design are all valuable skills that can turn into not only an extra curricular but perhaps eventually a paid job. When your child doodles away in his notebook while all the other kids are eager to go outside and play, take notice. There may be some uptapped talent within those pages that could benefit from some genuine interest and encouragement. She may not be a born athlete, but could she be a born leader? Even many elementary schools have some sort of student government activities for kids to get involved in. 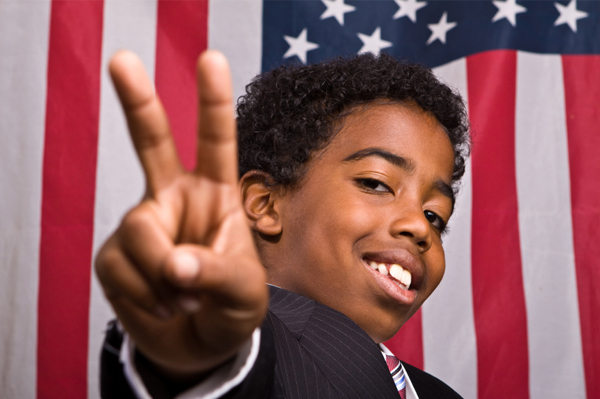 From being a class secretary to running for president of the student body, your child’s political options depend upon age and school rules. However you’ll be hard-pressed to find an area that doesn’t encourage at least some sort of student government. This may be a non-profit club that teaches children to write letters to their local congressman and gets them involved in local fundraisers and benefit causes, or it could be a competitive high school that gives away scholarships and awards for those who exemplify leadership. If your child is a problem-solver who tends to also be a good listener, then student government may be a great alternative to playing sports. Spirituality is something your child will carry with them their entire life, and many believe also beyond this world. No matter what their age or personality, every child can benefit from a rooted faith. Check out local vacation bible school programs during the summer months – almost every Christian church has them. Usually only a week long, it can provide an avenue to get involved with other activities for kids down the road, as well as make plenty of new friends. Church youth groups, outreach trips locally and overseas, as well as special events on holidays like Christmas and Easter are opportunities your child will have if they get involved with a local church. Other denominations sponsor prayer or meditation days, teen dances and even carnivals. Only your unique and individual child can determine what they’re passionate about. Ensure they are not overshadowed by a jock older brother or excellent athlete of a sister by asking them regularly what they’re interested in. Chances are, they’ll have at least one idea you can then indulge.